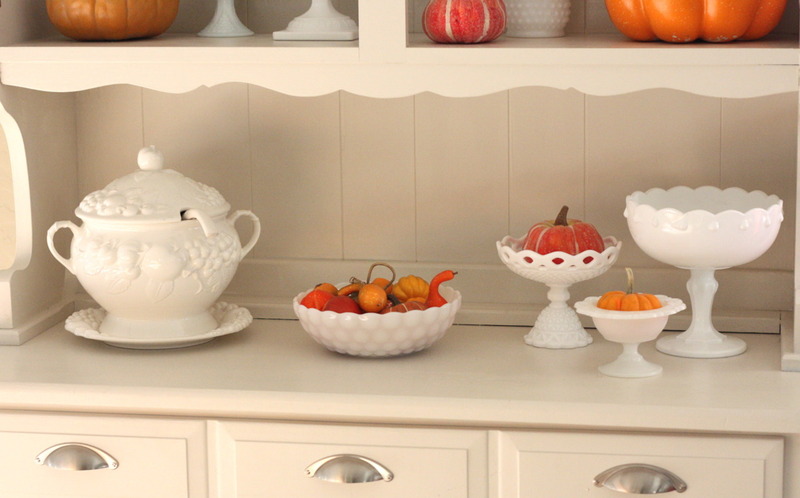 Say “Hello” to Eve my Goodwill Autumn hutch. 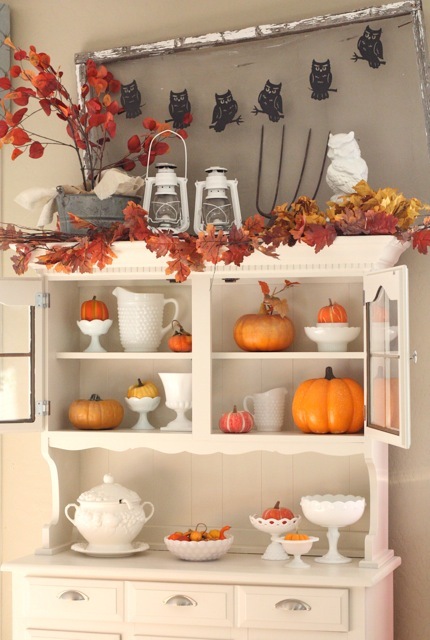 For Fall and Thanksgiving, Eve had been displaying the fruit of the season in a simple, yet pretty display or orange, cream and white. 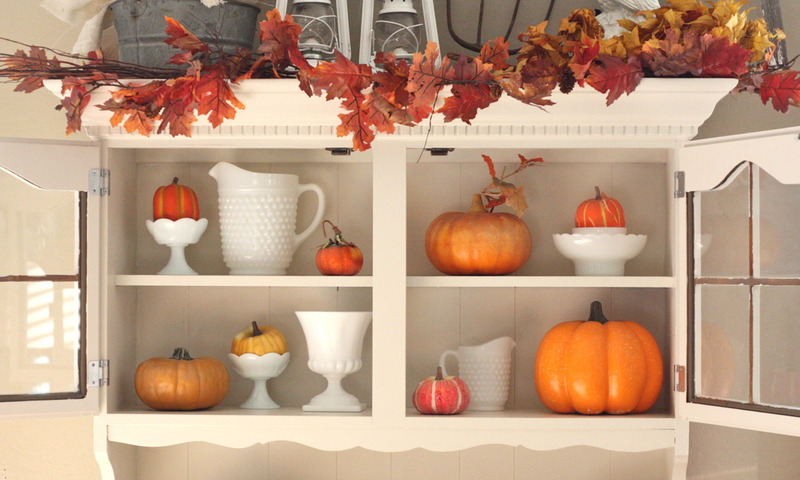 I used my collection of milk glass to set the stage for the vibrant orange colors of the pumpkins. 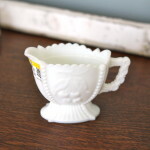 I’ve gathered my milk glass collection from various Goodwill stores in Arizona, as well as other locations around the nation. Vintage glassware is my weakness and I try to pick up unique pieces wherever I go. 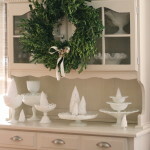 I use them all year-round for everyday living and special occasions. None of it is off limits. I mean, what’s the fun of having pretty dishes when they are tucked away in a cabinet? The top display of Eve is just same way she was decorated for Halloween. I wasn’t ready to part with the owl theme on top quite yet. If you love owls and missed Eve for Halloween, take a look HERE. 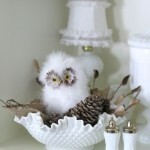 I found the majestic owl and the lanterns at Goodwill not to mention a super cute owl or two. The only problem I have with Eve’s display is that I’ve had more cravings for pumpkin rolls filled with cream cheese and some Pumpkin Whoopie Pies.